The internet may be the biggest marketplace in the world, but unless your business has the right website, no one will be able to find your products, let alone buy them. The perfect ecommerce website builder will let you create a brilliant online store, and will work as a platform to manage all your different sales channels and orders. The best will even let you manage your real-life point of sale transactions. All these features will give your business the perfect springboard for success. But how can you tell which one is the best – particularly when all the ecommerce platforms claim to do the same thing? Fortunately for you, we’ve tried every ecommerce platform out there, so we can help you pick the right one for your needs. Shopify – The best way to build an online store and manage your sales. BigCommerce – Runs Shopify very close for the top spot. Squarespace – Designed as a website builder, Squarespace is also a great ecommerce platform. Volusion – Great for sales and reporting, but a little hard to use. Want to know more about our favorite ecommerce builders and what makes them so great? Shopify excelled across the board in our testing. It combines top class sales channel integration with a simple and intuitive UI, plus great reporting tools to help optimize your sales. Shopify is nearly unmatched when it comes to integrating disparate sales channels into a single online platform. Through its Shopify Payments system, you’re able to track everything from sales on Instagram through to Google Shopping, and even real-world point of sale transactions. That’s right: If you run a bricks-and-mortar store, you can manage all your sales, inventory and accounting through one platform. What’s more, Shopify is probably the best ecommerce platform when it comes to design (excluding Squarespace, but we’ll get to that). It offers loads of different website templates, all of which are mobile optimized and can be edited and changed to your liking with remarkable depth. While it can’t quite match Shopify, BigCommerce is still an excellent ecommerce platform. The main drawbacks to BigCommerce are its slightly limited customization options, and that its help and support options can’t match Shopify. However, when it comes to its core function as a sales platform, BigCommerce can match Shopify stride-for-stride. This is thanks to its excellent reporting and sales analysis tools, excellent product inventory detail, and the wide range of sales channels it can integrate, including real-world point of sale transactions. It also doesn’t place transaction fees on the sales you make – something that you might have to put up with if you opt for Shopify. However, BigCommerce will place a cap on the total value of sales you can make, which increases depending on the pricing plan you choose. You might be forgiven for thinking we’ve put Squarespace in by error. After all, it’s, a website builder first-and-foremost, designed to give you a great-looking website, and not designed as an ecommerce platform. However, we found Squarespace to be a very competent ecommerce platform. For a start, it’s product and inventory management is just as advanced as any of the other platforms on this list, with a surprising amount of detail on offer. It also allows you to easily stock different types of products, from your standard physical products to digital downloads and even services. It’s not completely without fault, though, as it limits your payment and accounting options to two third-party companies – not ideal if your business is already up-and-running. You’re also limited in your ability to internationalize due to tricky language settings and shipping choices. Again, Volusion is a great ecommerce platform – we’re splitting hairs here. However, it isn’t quite as intuitive and straightforward to use as BigCommerce or Shopify, which really holds it back in this context. Like the others, it has a good range of sales features – especially its highly-detailed product and inventory management. This will pay dividends as your business grows, as managing your stock and analyzing your sales performance will be easy. It also has great, mobile-responsive website templates, which will help make your site stand out from the crowd. But, as we mentioned above, it can be a bit confusing to navigate. Some features relating to your site’s design, for example, can be accessed from two separate menus, creating a doubled-up feeling which keeps your head spinning. Some menus are simply confusing, with pages you’d expect to be in one place being located in a seemingly unrelated menu. Still, Volusion’s proactive help and support team should be able to help. Wix is designed primarily as a website builder. However, it has been working hard to improve its ecommerce functionality in recent months, with a host of new features and improvements, including its new Ascend all-in-one business solution and mass product imports. Ascend allows you to centrally control and automate a range of business functions, from promoting your business with marketing emails to giving customers help and support with chatbots. You can also easily create multilingual sites with Wix — ideal for users in countries with one or more major languages. When you sign up for a Wix ecommerce site, you get the same excellent design options as the regular website builder, as well as great help and support options. What’s more, in our user testing, Wix scored well for ease of use — particularly for having an easy to understand interface. When it comes to sales features, however, Wix does have some issues. For example, Wix doesn’t support multiple sales channels (something that the dedicated ecommerce platforms excel at) and it doesn’t offer the same quality of customer analytics as Squarespace or Shopify. Wix is probably best suited for smaller online stores, as it doesn’t offer some of the features necessary for managing larger stores. Weebly, like Wix, is a website builder looking to improve its ecommerce game. However, it’s still got some way to go before it can really challenge the ecommerce giants or even Squarespace. It doesn’t support multiple sales channels, and you’ll incur a 3% transaction fee on all but two of its pricing plans. Weebly also doesn’t give you the ability to customize your checkout, nor does it allow guest check out options. All of these factors will hold you back in your quest for online sales, particularly if you’re looking to run a larger store. It’s not all bad, though. With a Weebly ecommerce site, you’ll still be able to use its impressive website builder functions and unlike Wix, Weebly does offer bulk product imports and stock management tools without the use of a third-party app. Weebly’s ecommerce plans are also on the cheaper side, starting from $12 per month so it’s likely to be a better option for smaller online entrepreneurs. So those are the best programs for creating an ecommerce site, but how do you actually go about creating one? We’re going to run through all the things you should consider before, during and after the creation of your site. Pick the right software – This is crucial, because if you don’t get this right, your business might never reach its potential. We’d recommend Shopify if you’re looking for a platform to give you an online store, as well as help you manage bricks-and-mortar stores or other online sales channels. Wix would be a better choice if you’re after a fully-featured website with the ability to sell products. Use the trial – Once you’ve picked your software, you should always try it out before committing to it. Shopify (and most other ecommerce builders) will give you a free trial period normally lasting a couple of weeks. Some website builders, including Shopify, have free packages with no time limit. This means that you can make sure the software is right for you, and you know how to properly use it. 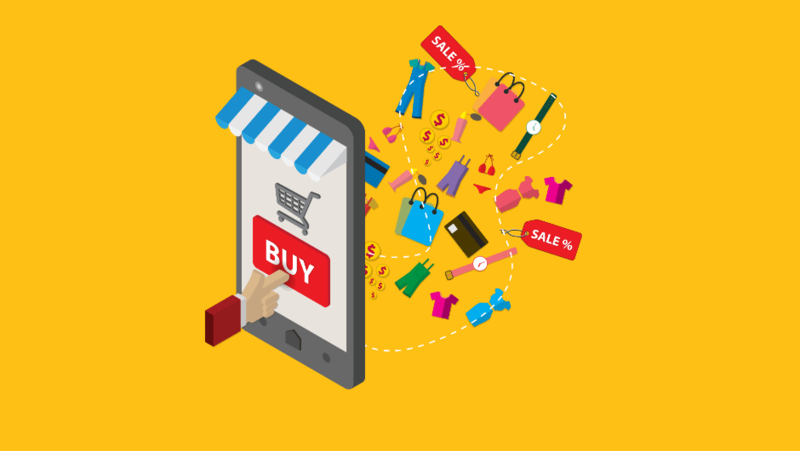 Prepare – The more you put into ecommerce platforms, the more you get out. If you’re already running a business, it’s worth checking whether the software you’re going to use can work with the existing payment systems and accounting software you use. Some, such as Shopify, encourage you to use their own payment systems, for example. Get people to try it – Ask friends, family, even random people to use your store and get their feedback. After all, when Joe Public is going to be buying your products, you should at least make sure they can use your website. Optimize – Don’t sit still; make sure you use the reporting tools offered by your ecommerce builder to improve different aspects of your site. This will help get customers down the sales funnel as quickly and easily as possible.